Actor, producer and humanitarian, Danny Glover has been a commanding presence on screen, stage and television for more than 25 years. Mr. Glover has gained respect for his wide-reaching community activism and philanthropic efforts, with a particular emphasis on advocacy for economic justice, and access to health care and education programs in the United States and Africa. For these efforts, Mr. Glover received a 2006 DGA Honor. Internationally, he has served as a Goodwill Ambassador for the United Nations Development Program from 1998-2004, focusing on issues of poverty, disease, and economic development in Africa, Latin America, and the Caribbean, and serves as UNICEF Ambassador. In 2005, Mr. Glover co-founded Louverture Films dedicated to the development and production of films of historical relevance, social purpose, commercial value and artistic integrity. The New York based company has a slate of progressive features and documentaries including Trouble the Water, which won the Grand Jury Prize at the 2008 Sundance Film Festival, Africa Unite, award winning feature Bamako, and most recent projects Uncle Boonmee Who Can Recall His Past Lives, and The Disappearance of McKinley Nolan. Mr. Glover is a founding member of the AFJ Board of Directors and serves as co-chair. Stephanie Fullam is the Executive Assistant at the New York Yankees and is based at the law firm of Jackson Lewis. She holds a degree in psychology from Loyola University in Chicago. Her specialties include talent management, event planning and management, and administration. Ms. Fullam is a founding member of the AFJ Board of Directors. and serves as co-chair. Dr. Boudin is director of the Criminal Justice Initiative: Supporting Children, Families and Communities, based at Columbia School of Social Work, where she is also an adjunct professor. The Initiative is dedicated to ending society’s reliance on incarceration and retribution and advancing solutions. Working within the University as a catalyst for education, and student and faculty engagement, the Initiative also implements community-based projects that support education for youth with incarcerated parents, advocate for parole reform and promote the use of restorative justice. Dr. Boudin also works with the Center for Comprehensive Care, St. Lukes-Roosevelt Hospital, where she is the founding director of the Coming Home Program, addressing the health needs of people returning from prison. She worked with other women in prison creating national model programs in the areas of HIV/AIDS, parenting, and higher education in prison. Today, people who have been formerly incarcerated play an essential role in the work she is involved in. She has done research and published widely on the relationship of criminal justice to education, women, health, and long-termers in journals including the Harvard Educational Review, Women in Therapy, Correctional Education, Rutgers Women’s Rights Law Reporter; she edited and co-authored the book Breaking the Walls of Silence: AIDS and Women in a New York State Maximum Security Prison. Dr. Boudin has served as a consultant to community-based organizations, departments of corrections, university projects, and international work around AIDS. She was honored in 2007 with the W.E.B Dubois Research Award by Citizens Against Recidivism. 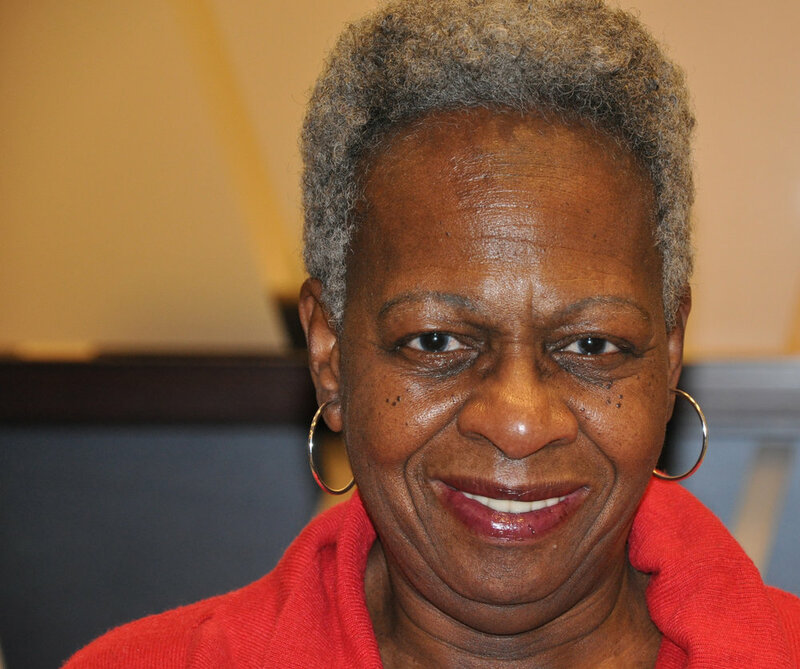 Dr. Boudin received her doctoral degree from Columbia University Teachers College in 2007. She is a member of the AFJ Board of Directors. Dr. Roberts is director of Columbia University’s Institute for Research in African American Studies (IRAAS), Associate Professor of History (School of Arts & Sciences) and Associate Professor of Socio-medical Sciences (Mailman School of Public Health). 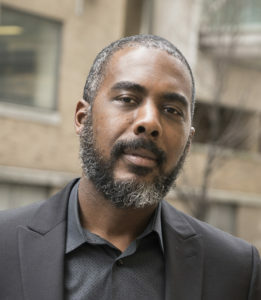 He writes, teaches, and lectures widely on African-American history, medical and public health history, urban history, issues of policing and criminal justice, and the history of social movements. His book, Infectious Fear: Politics, Disease, and the Health Effects of Segregation (UNC Press, 2009), demonstrates the historical and continuing links between legal and de facto segregation and poor health outcomes. In 2013-14, Dr. Roberts served as the Policy Director of Columbia University’s Justice Initiative, where he coordinated the efforts of several partners to bring attention to the issue of aging and the growing incarcerated elderly population. This work led to the publication of the widely-read landmark report, Aging in Prison Reducing Elder Incarceration and Promoting Public Safety (New York: Columbia University Center for Justice. November 2015. http://centerforjustice.columbia.edu/policy/aging-in-prison/). He did his graduate studies at Princeton University. Dr. Roberts currently is researching a book project on the history of drug addiction policy and politics from the 1950s to the present, a period which encompasses the various heroin epidemics between the 1950s and the 1980s, therapeutic communities, radical recovery movements, methadone maintenance treatment, and harm reduction approaches. Dr. Roberts is a founding AFJ Board member. Jason Feneque is the Director of Distribution at FOX Companies where he has been employed since 2013. Prior to joining FOX, Mr. Feneque was Senior Director of Affiliate Sales and Marketing for YES (Yankees Entertainment Station) and Producer of Yankees on Deck. Mr. Feneque is a founding member of the AFJ Board of Directors. Antonio Yarbough made history in 2014 when he became the first person exonerated by Kings County District Attorney, Ken Thompson. After serving 20 years in the infamous Attica Correctional Facility, Mr. Yarbough was released from prison and shortly thereafter he helped to found AFJ. In 2017, he joined AFJ’s Board of Directors. Valerie George is a former non-profit professional with extensive experience in management, development and non-profit administration. After a stellar career in the Virgin Islands, Ms. George relocated to New York City. Shortly after her arrival she helped to found AFJ. In 2017, she joined AFJ’s Board of Directors. George Williams joined the AFJ Board in 2017 after completing the Aveda School of Barbering. Mr. Williams, as the victim of a horrific beating, was the focus of a 2015 New York Times expose’ chronicling the systemic abuses that are prevalent in Attica and the New York prison system. Roslyn Morrison is a fully certified felony trial attorney with the Legal Aid Society and serves as the Specialty Attorney in the Misdemeanor Brooklyn Treatment Court She has worked as a public defender for 14 years and is committed to serving her community. Her lifelong commitment to activism and community mobilizing is demonstrated through her involvement in youth development programs and community events. As a member of the National Conference of Black Lawyers, she has organized and participated in Community Law Day and Know Your Rights events in Brooklyn. In addition, she routinely hosts seminars for high school students, and recently conducted a Know Your Rights/Mock Trial/Intro to Restorative Justice forum for the students of the First Star College of Staten Island Academy, which is attended by high school students in foster care or who have open Family Court cases.